A photo of my Golden Retriever, Trifecta‘s Morning Star – who was kind enough to be a crash test dummy for some work I am doing on a preset in onOne photo suite. She is the best damn Golden in the world – and yes I am completely partial and the vote was rigged. This is almost where I want to be with the preset, but not quite there yet… I’ll try to keep this updated with additional looks. 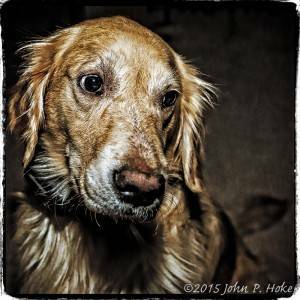 This entry was posted in Personal, Photography and tagged dog, golden retriever, on1, pets, photography, star.